Mission Link Service in 2019 – Cairns Airport Shuttle: 2 trips to Cairns and Cairns Airport and Mission Beach 5 days a week ( and all points on request in between ) and all new weekend timetable. Click here for the 2019 Mission Beach, Innisfail, Babinda, Cairns Airport Shuttle Bus Service timetable. You can still ring your friendly courteous Mission Link Bus Driver and request a ride from where you are to where you want to be…. on demand. This service is available from Cardwell, Mission Beach to Innisfail 24/7. You will always be required to book by phone…you will not be able to “hail” the bus… but that’s easy, just program the bus direct phone number 0474 580 000 into your contact list and you have access to us anywhere, anytime the service is running. At the time of booking the driver will quote you the travel charge which you can choose to accept…or not. This new service will allow residents to move around on demand at an agreed fare. It will allow visitors access to our many restaurants, retail outlets, walking tracks and attractions with ease. Mission Link can transport up to 24 persons in air-conditioned comfort and we are only a phone call away. 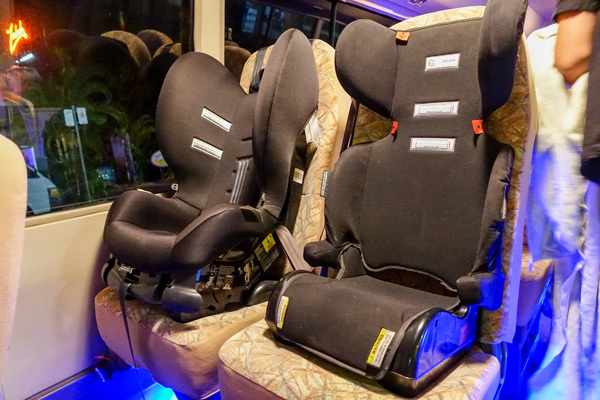 In addition to the new Booked Hire Personalised Transport Service on demand, Mission Link continues to provide Charters and a shuttle service to Cairns and the Airport from Monday to Friday and weekends (refer to new timetable). Book your seat on line or call Mission Link. 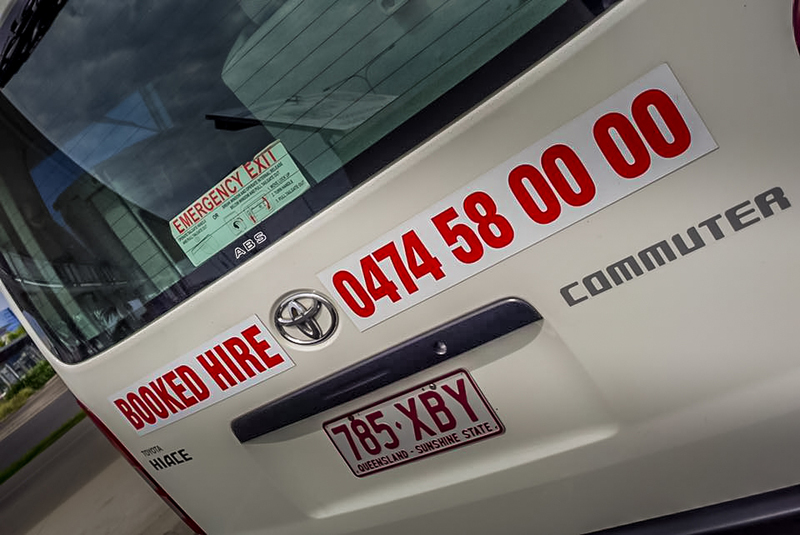 In addition to the new Booked Hire Personalised Transport Service on demand, Mission Link continues to provide Charters and a shuttle service between Mission Beach, Innisfail, Cairns and the Airport from Monday to Friday and weekends on demand. Book your seat online or call Mission Link on 0474 580 000. From January 20, 2019 Mission Link is pleased to announce that there will be a weekend shuttle service to Cairns Airport. It is essential that bookings for this new service are made online or with a minimum 24 hours notice by phone as the service will not be scheduled if there are no prior bookings. Please note times may be subject to weather and road conditions. Passengers are asked to arrive at bus stop 10 minutes prior to travel times. Please allow appropriate time preflight to organise baggage, security checks and or customs when scheduling flights from Cairns. Mission Link takes no responsibility for missed flights due to late arrival. Click for the timetable. Mission Link Bus Services are operating 2 weekday daily services to and from Cairns. The mid morning service will pick up around Mission Beach from 10.00AM and leave the beach at 10.30AM arriving at Cairns Airport at 12.45PM then on to motels and Cairns Central. The first return shuttle from Cairns will pick up around Cairns also at 10.00AM and then leave from the airport at 10.30AM returning to Mission Beach at 12.45PM. The second shuttle from the airport will leave at the established time of 2.30PM arriving in Mission Beach and Tully at 5.30PM. The early morning service will continue to leave Mission Beach at it’s usual time of 6.15AM. Click for the timetable. Click arrows to walk inside bus, click/hold/drag with mouse or finger to rotate view 360 degrees.